Amnesty Day is the last day of each month, wherever you are in the world! On that day, and that day only, you may post any finished TMS Challenge make from ANY prior challenge. Tag it with the original category AND the new “Amnesty Day”category and we’ll all get to enjoy some great finished items from the past! Learn more here. Click on any button to view related posts. Good morning! I am working up the courage to sew something for one of the challenges. I do have a question (or maybe it is more a comment)…i have so much trouble finding the posts about everyone’s projects. For example, this morning I’ve clicked around and around your website and never did find them. So I am giving up. Could you consider a seperate blogs page or somehow making it obvious where they are located? Once or twice I’ve stumbled on them and enjoyed seeing what everyone has made. I have spent longer than I have patience for this morning clicking around to find them again with no luck. Hi Nita, I hope you will join us soon. All the challenges (current, past and future) are on this page. If you click on any of the challenge buttons above it will display all the posts for that challenge. Then you just select the post you want to read. 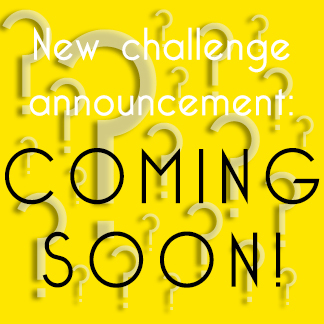 The current challenge button is also displayed at the bottom of each page so just click it to see the related posts. Does that make sense? How embarrassing! Must have been having a menopausal moment this morning. Thanks! Thank you so much for allowing me to join the challenge. I am so excited. Love the idea of Smarty Pants. How far in advance will you post the challenges? It is our intention that you always know the current challenge and the next months challenge. So right now (August) we are sewing capes, September is Vintage, and we will announce Octobers challenge at the start of September 🙂 So you always have at least 1 months notice. How about a ‘Complete a UFO’ (Un-Finished Object) Challenge. It would be a great “breather” challenge after something harder (like a coat making?) and I’m sure there are others like me who could use a little encouragement to finish one or two things that have been hanging around for too long. think it’s great we’re getting to suggest & choose – thank you!